Accounting and finance are many faceted industries that include money management, tax accounting, tax law, corporate accounting, investing, banking, and more. Current and prospective accounting and finance professionals can always benefit from the wisdom of experienced professionals and one of the best ways to take advantage of the insights of those professionals is through reading their blogs. Blogs come in many forms, from the collaborative blogs of major publications featuring the perspectives of many different professionals, to the personal blogs of accounting and finance professionals devoted to sharing their insights gained from years of experience. This list features the top accounting and finance blogs from both the collaborative and individual blogging circles, covering a wide range of topics within the industry including taxes, personal finance, investing and more. 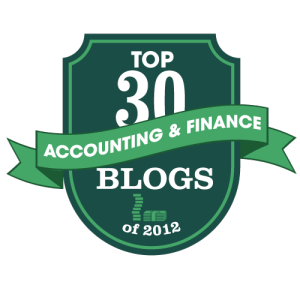 Read on for our picks for the best Accounting and Finance blogs of 2012. 1. Business Exchange: Accounting and Finance is the finance blog page of Bloomberg’s Business Week. The blog features professionals from many of the wide variety of aspects of the accounting and finance world, tackling the most pressing issues in finance and accounting today. 2. Public Financial Management is a blog of the International Monetary Fund, covering international public financial policy and practice issues. The blog primarily addresses the challenges faced in various economies across the globe and tactics for improving public financial management. Highlight: Simplifying Budget Documents – Time for an International Standard? 3. Accounting Today’s Blog, titled “Accounting Tomorrow”, features writers from across the industry. The bloggers share their insights and theories about various accounting and finance issues facing companies and accounting practitioners throughout the field. 4. Book Mark Lee is the blog of Mark Lee, is a thirty year veteran of the accounting field who has worked as a tax advisor for top international companies and consulting firms. Mark Lee has now started his own tax advice business and maintains his blog, which he uses to share his wisdom garnered over three decades in the field. 5. Accounting Web’s collaborative blog features contributions from professional accountants from many areas of practice. The blog is broken up into several categories of interest including Bad Guys, Fraud, the IRS, Technology, Watchdog, and guest articles. 6. Accounting Coach is a website and blog run by 25 year industry veteran Harold Averkamp. The goal of the site is to change the way people learn accounting principles while also making information on accounting freely available to everybody at all times. The blog has a casual question/answer style that appeals to professionals and laypersons alike. 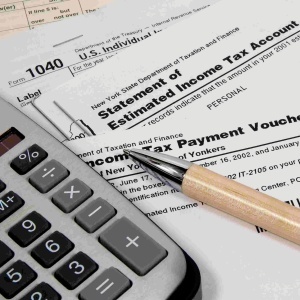 Highlight: What is the self-employed person’s FICA tax rate for 2013? 7. The Accounting Onion is a blog focused on peeling back the layers of accounting to expose and study what is underneath. The author is Dr. Tom Selling, Ph.D., and licensed CPA. Dr. Selling is the author of the book International Financial Reporting and Analysis, published by McGraw Hill. 8. Where Every Penny Matters is the blog of Tampa Bay CPA Nicholas Pennewell. Nicholas specializes in working with individuals and non-profit organizations; his blog focuses on providing readers with a practical, personal perspective on the industry. Highlight: President Obama’s Health Care plan and some different ways to comply! 9. Taxable Talk is the blog of Russ Fox, an EA with Clayton Financial and Tax. The blog covers tax news, theory and application. Highlight: Is a Simplified Home Office Deduction Better? 10. Wandering Tax Pro is the blog of 40-year tax professional Robert D. Flach. The blog is devoted to providing readers with commentary on tax policy and practice. 11. Q Detective is an investment finance blog devoted to delving into the state of various companies and providing readers with analysis and strategy applicable to a wide range of investing concerns. Highlight: Is Google In Need of Groupon coupon? 12. Going Concern is devoted to covering the accounting and finance industries, and the people responsible for shaping them and defining their culture. 13. The Aleph Blog offers readers the insights of David J. Merkel, owner of Aleph Investments. The blog covers the personal thoughts of the author on investing and the right way to manage other people’s money. 14. re:The Auditors covers a wide range of subjects within the financial industry, but is primarily concerned with commenting on news involving the big four auditing firms: Deloitte, PwC, Ernst&Young, and KPMG. 15. Mauled Again is the blog of James Edward Maule, a tax law professor at Villanova University’s School of Law. Mauled Again’s content primarily features commentary on tax law, policy, and theory. 16. Our Taxing Times is the blog of Trish McIntire, an Enrolled Agent tax professional and entrepreneur. The blog primarily focuses on keeping readers up to speed on changes in tax law, and the tax industry as a whole. 17. Roth and Company PC’s Blog focuses on the climate of the tax industry and important issues related to taxes facing the United States. Highlight: Cobbler’s children go barefoot, tax lawyer’s income goes unreported. 18. The Summa is a general interest accounting blog on which its author shares opinions on financial accounting and regulation, accounting education, and accounting entertainment and humor. 19. Five Cent Nickel is a personal finance blog covering topics applicable to the every day lives of laypersons and financial professionals. 20. The Wall Street Journal website features blogs on every aspect of business and has many accounting and finance contributors offering everything from in depth articles for finance professionals to practical advice for the average individual. 21. Financial Times has a blogs section covering the wide array of subjects within the finance and accounting industry. 22. The Economist features economics blogs covering a variety of topics that, while they do not deal with the finance and accounting industries directly, have a distinct impact on those industries. 23. Forbes blogs feature content on every aspect of business from entrepreneurship to personal finance, and money management. 24. The Conscience of a Liberal is the blog of the Nobel Prize in Economics winning Paul Krugman and features content related to politics, the finance industry and economics as a whole. 25. Tax Mama’s Tax Quips features tax advice applicable to the average person. The content is topical and primarily targeted at individuals and the tax professionals that serve them. 26. Don’t Mess With Taxes is a blog that brings its readers daily, weekly, and monthly tips and articles for simplifying taxes and increasing the individual’s understanding of how they work. Highlight: Is New York’s high cigarette tax rate why the Empire State tops the smuggler list? 27. More Money is the personal finance blog of Money Magazine and features content applicable across the board to accounting and finance professionals as well as laypersons. Highlight: Should you tell adult children about your finances? 28. Bank Think is an American Banker blog devoted to tackling accounting and finance issues within the banking industry. 29. Bank Innovation covers the impact of innovation, technological and otherwise, on the finance and banking industry. 30. The Fraud Files is a blog covering the seedy side of the finance industry and concerns itself with commenting on the latest cases of fraud, scams, scandals, and accounting/finance related court cases. Highlight: Multi-Level Marketing or Pyramid Scheme?